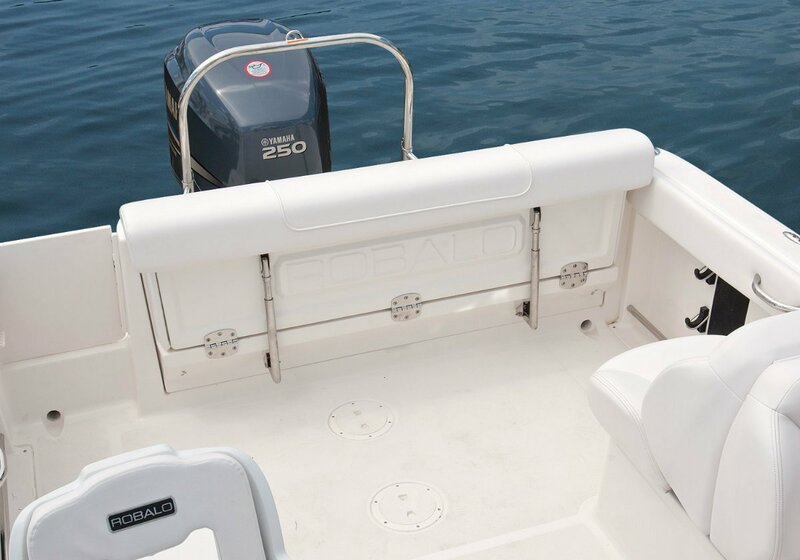 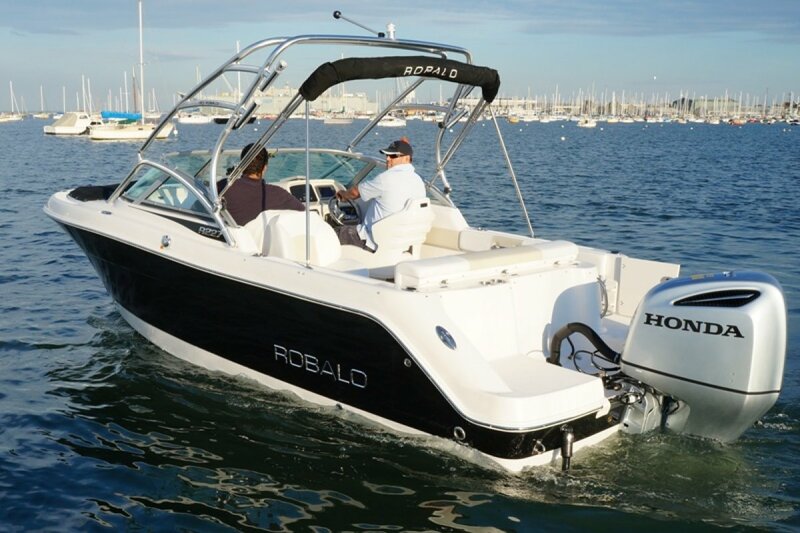 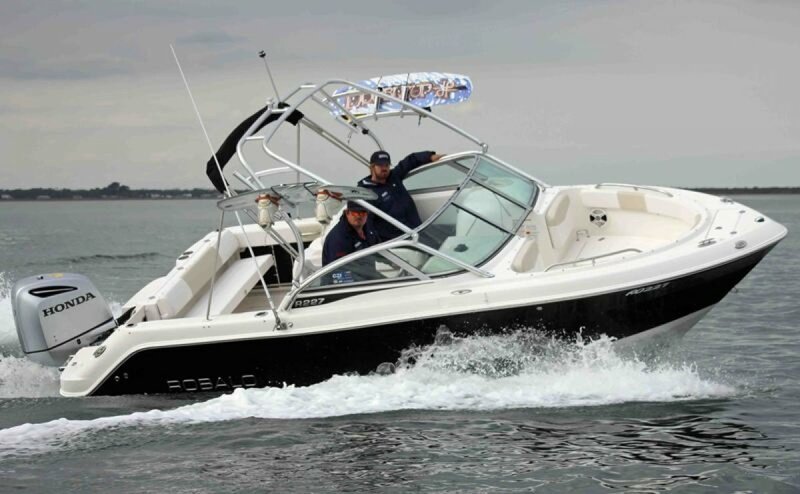 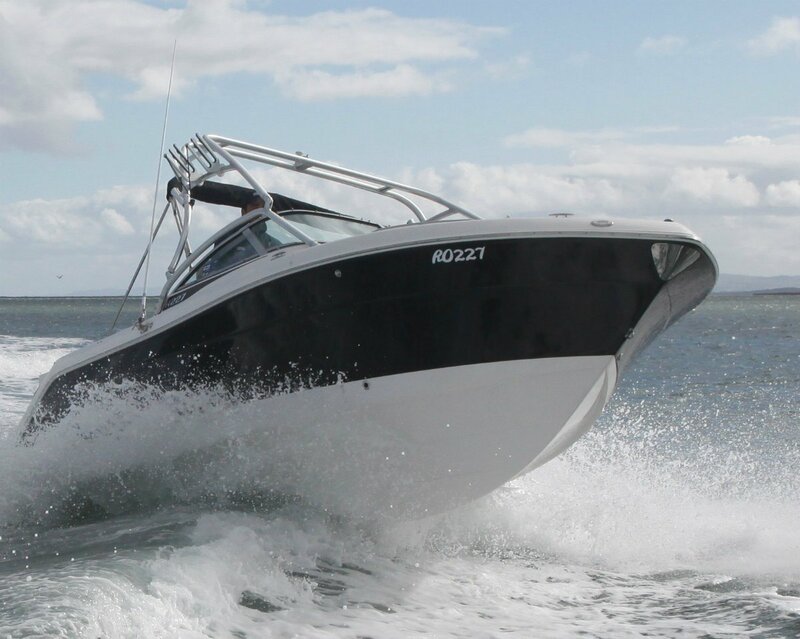 Robalo R227 Crossover; in this day and age we all want the best value for our money and it is no different with buying a boat; The R227 offers the ultimate in family boating; keeping Dad, Mum and the kids happy. 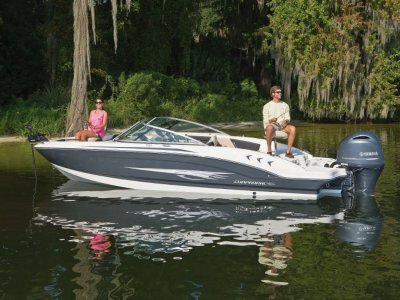 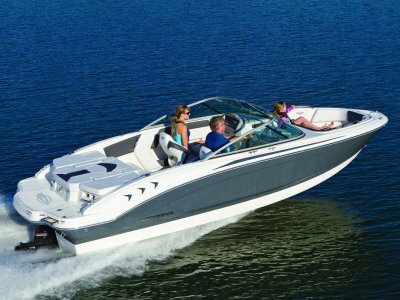 What other 22 footer invites you to fish at sunrise, wakeboard all day and cruise under the moonlight? 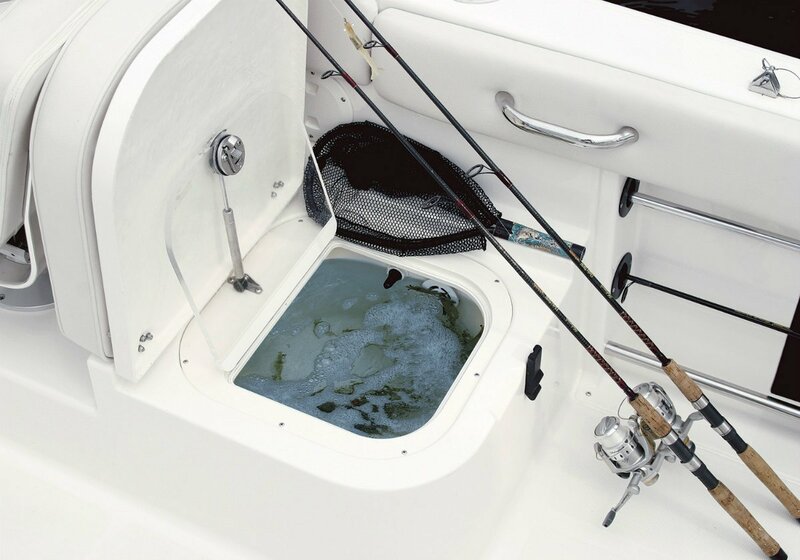 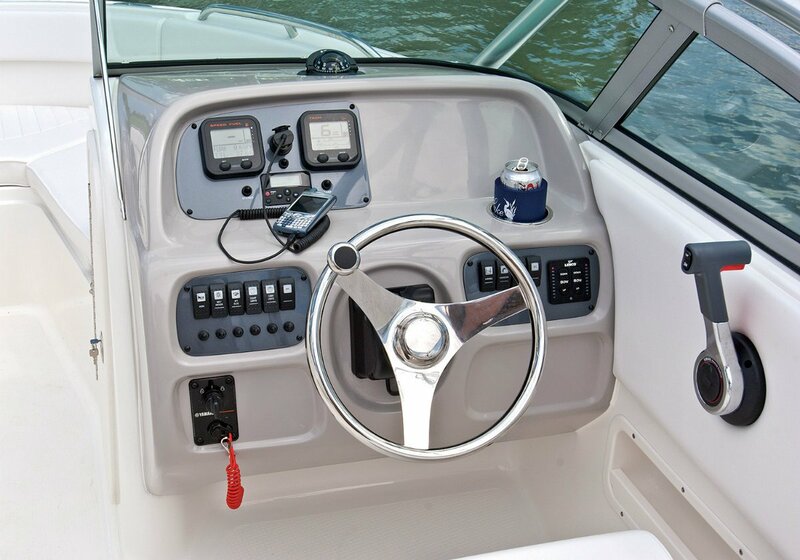 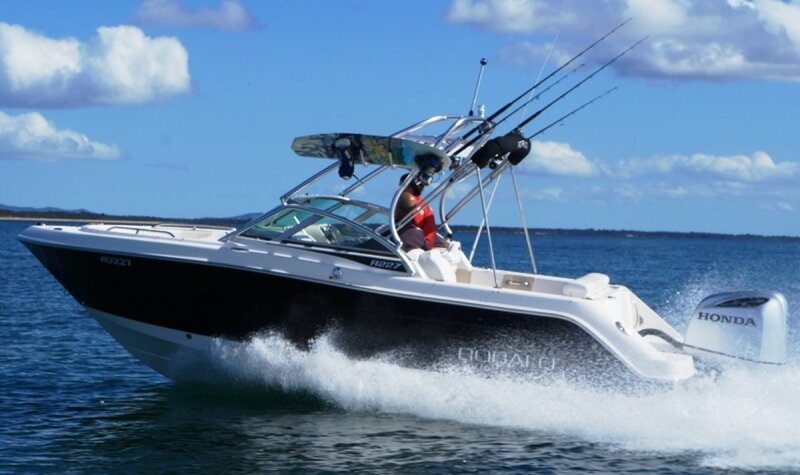 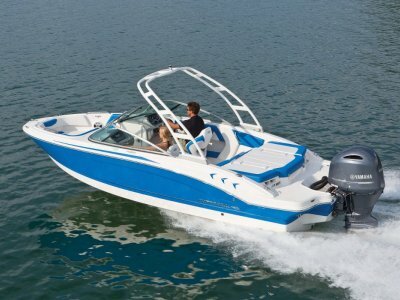 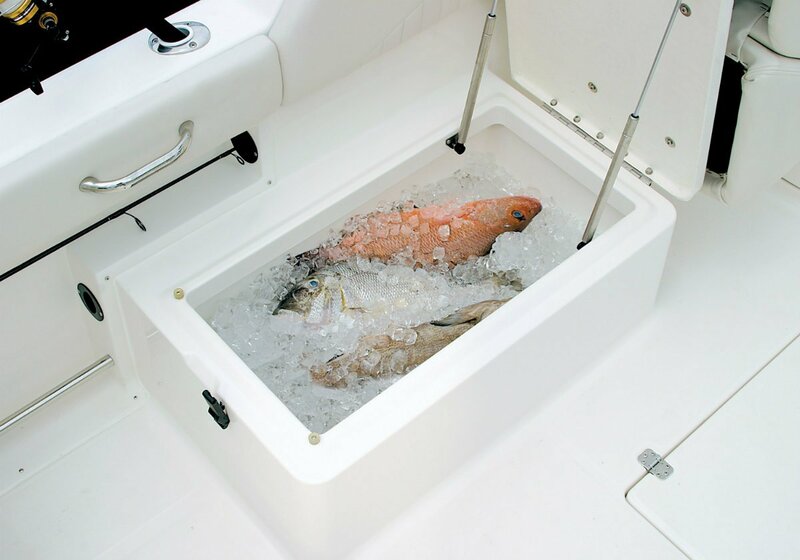 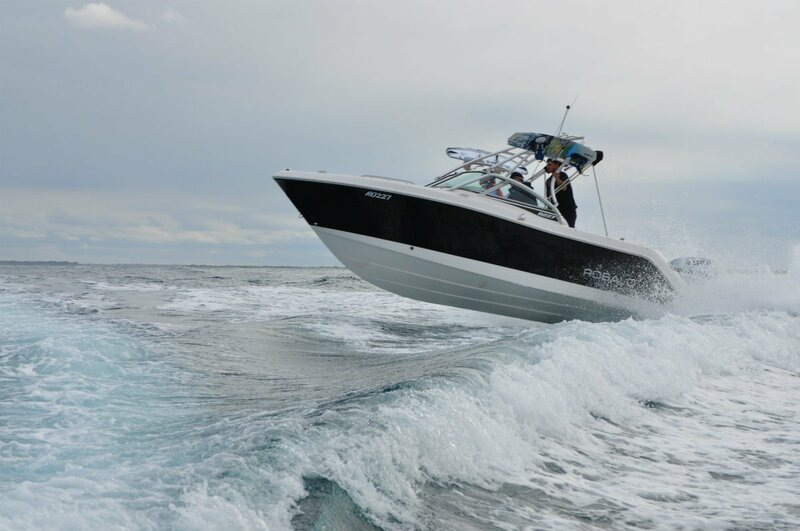 If you think this is a compromise for serious fishing think again; the R227 comes standard with rod storage, raw water wash down, self draining cockpit, toe rails, live bait tank, large kill tanks, tackle storage and convertible casting platforms; while for skiing the optional wake tower also features rocket launchers and wake racks, or go with the ski-tow frame on the transom. 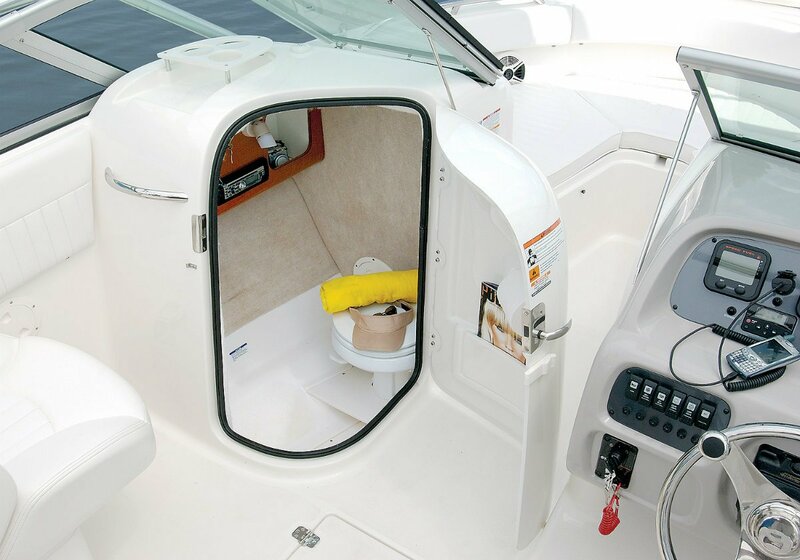 For cruising, the enclosed head can be upgraded from a porta pottie to a full vacuflush unit with holding tank including cabinetry & fresh water shower. 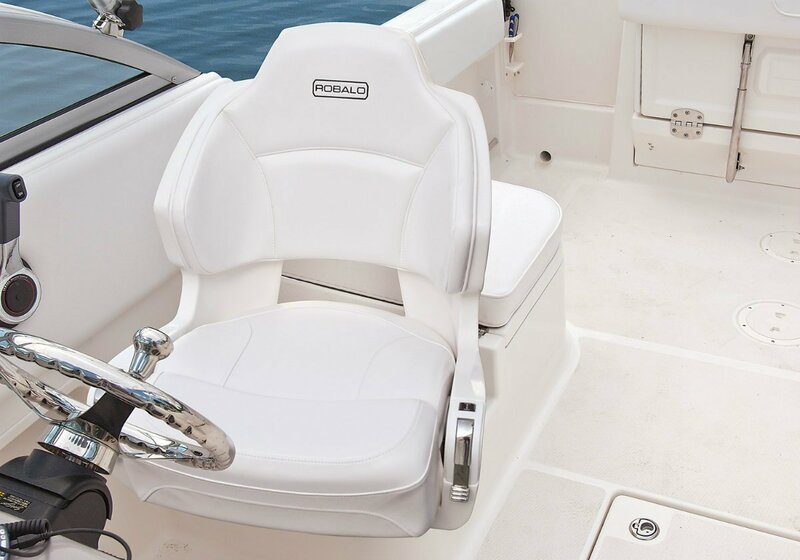 The back to back seating folds down into a comfortable sun lounge while features such as folding swim ladder and premium clarion stereo with MP3 connectivity complete the picture. 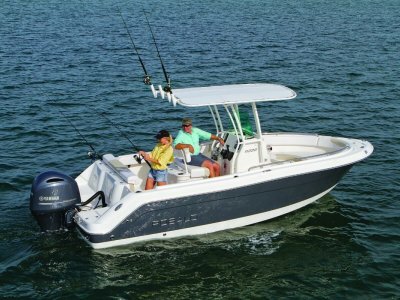 With a 250 Hp transom and 405 litre fuel capacity the R227 can take you to your favourite fishing spot no matter how far out it is and don't think for one minute that the bow rider design compromises the famous Robalo stability & dry, soft riding Hydro-Lift hull because this boat can handle anything you want it to tackle; you will be amazed at how comfortable it is. 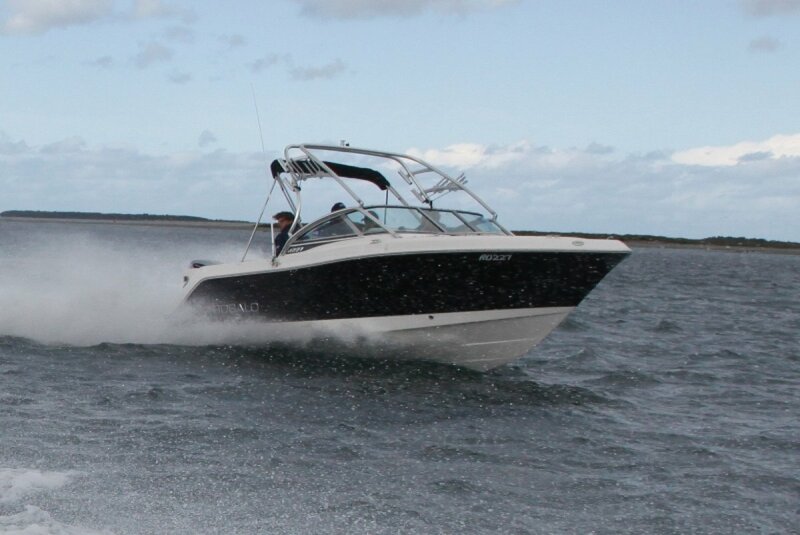 If you have struggled to convince the treasurer to spend money on a new boat, then one ride in the R227 will be the clincher!